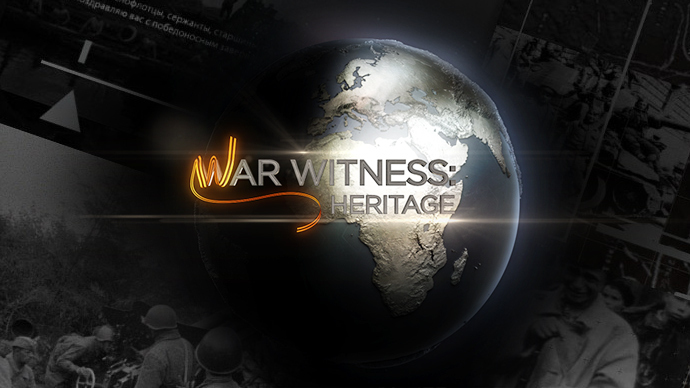 Their tales are tense, harrowing and touching by turn – every day until Victory Day on May 9, RT will upload a mini-documentary highlighting a memorable wartime story retold by those who witnessed World War II at close quarters. There are fewer than two million people older than 85 alive in Russia today, and each year the number of those who fought in the conflict, or survived in a warzone, falls by tens of thousands. Most of those we interviewed were teenagers during the Great Patriotic War – but that makes their experiences only more vivid and shocking. Zinaida Ivanova, a survivor of the 900-day Siege of Leningrad recalls grim details of her childhood: 125 grams of bread a day, which had to be sucked on all day as a treat, making soup from old leather shoes, and having to throw waste through the window and onto the streets. As a postscript, she says that as a result of the deprivations they suffered as children, neither her, nor her three siblings were able to have children of their own. Igor Grebtsov talks about building a mud hut in the ruins of Stalingrad for New Year in December 1942, and then receiving his best gift ever – a pair of mittens and socks from an aunt, whom he could not thank at the time. Aleksey Nevzorov, who fought in the same battle, describes how no ordinary soldier wanted to lead the charge, and “wanting to just burrow into the ground to avoid death” as he wondered whether he would be killed by a bullet, mine or bomb. Aleksandr Karpenko remembers surviving the Battle of Kursk, and liberating his own hometown in 1943, only to find out that his mother had died under German occupation. While Nikolay Chernov recalls getting a head wound, and lying in a field all day, as the battle in the Caucuses raged all around him. Once he recovered, Chernov, went back and volunteered again. Vladimir Lebedev recalls his unabashed joy at destroying a German tank, as Red Army troops fought through every street of Berlin – “the hardest battle of his life.” Zhores Artyomov, a decorated veteran, his chest gleaming with medals, remembers not an act of heroism, but a single scene – a slain soldier being pressed further and further into the ground by tanks tracks, until he was as flat as the ground itself – that he says has given him a bitter memory for life. Each story is signed off with a recollection from a young relative of the war veteran. As a counterpoint to the heroic figures sitting in their old uniforms, they reveal a more humane, and vulnerable side to a living generation that does not want to become a textbook myth.